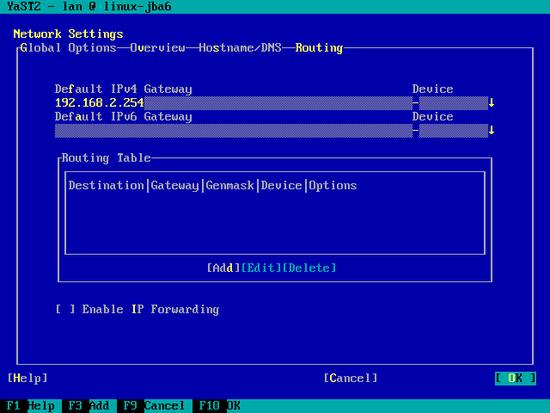 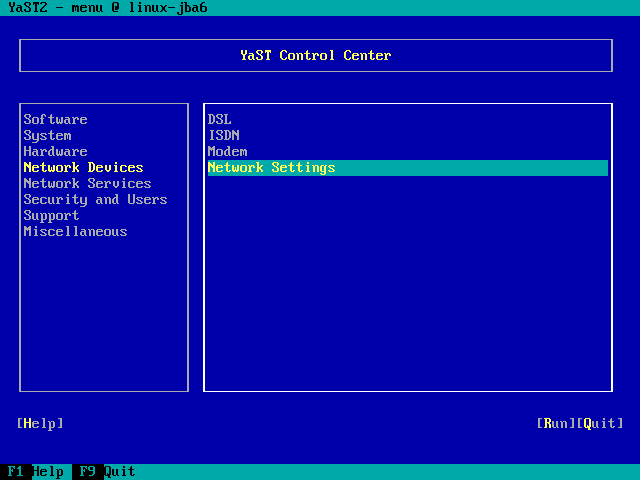 We use Yast, the OpenSuSE system management tool to reconfigure the network card settings. 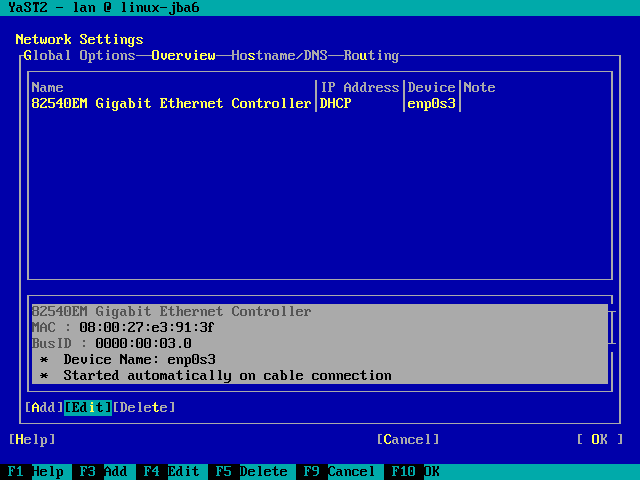 After the first boot, the system is configured to get the IP address with DHCP. 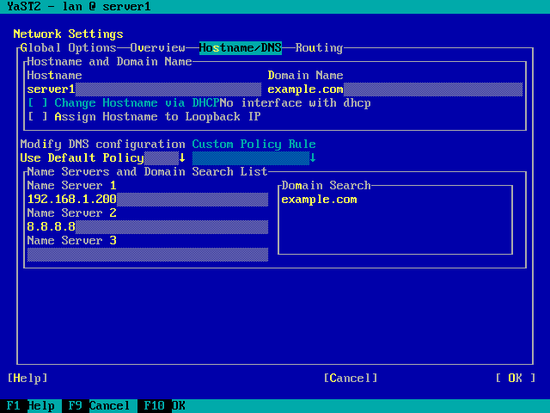 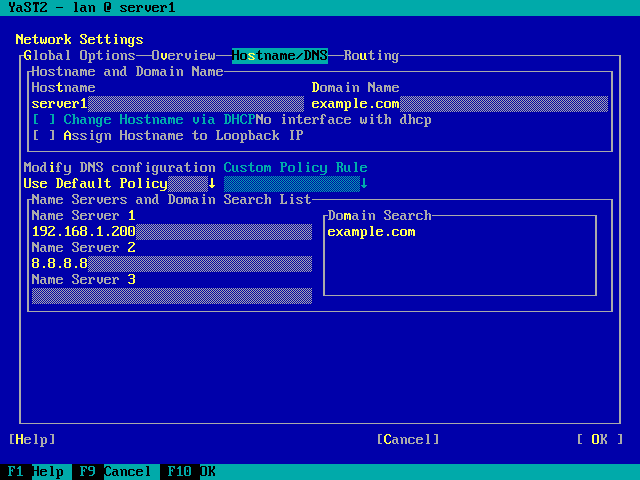 For a server we will switch it to a static IP address. 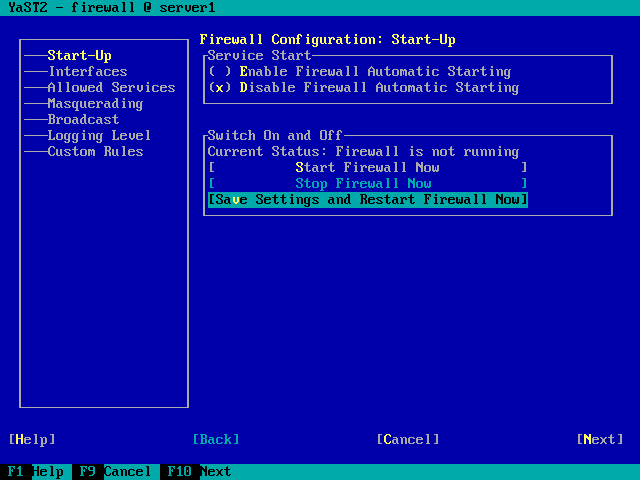 I want to install ISPConfig at the end of this tutorial which comes with its own firewall. 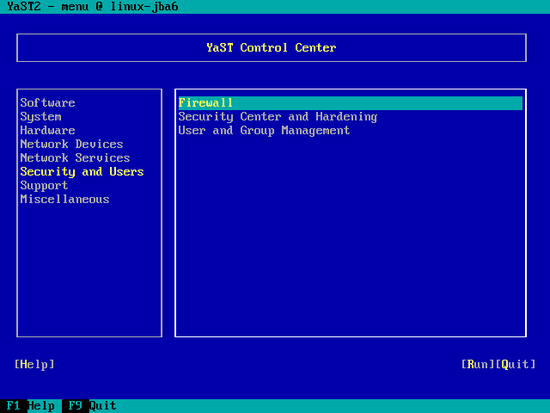 That's why I disable the default OpenSUSE firewall now. Of course, you are free to leave it on and configure it to your needs (but then you shouldn't use any other firewall later on as it will most probably interfere with the OpenSUSE firewall). 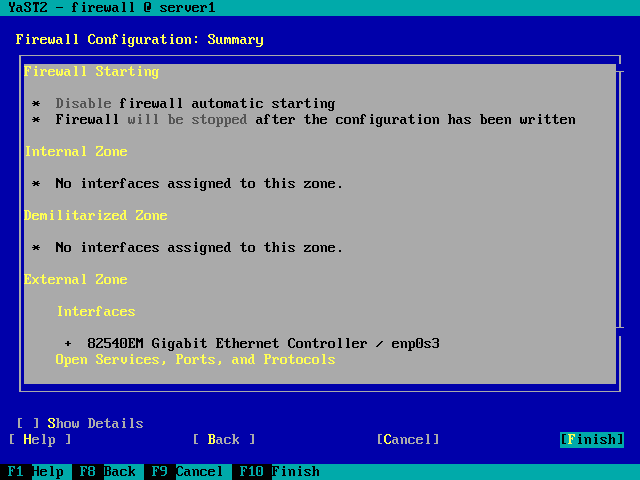 ... and check your network configuration again afterwards - it should now be correct. 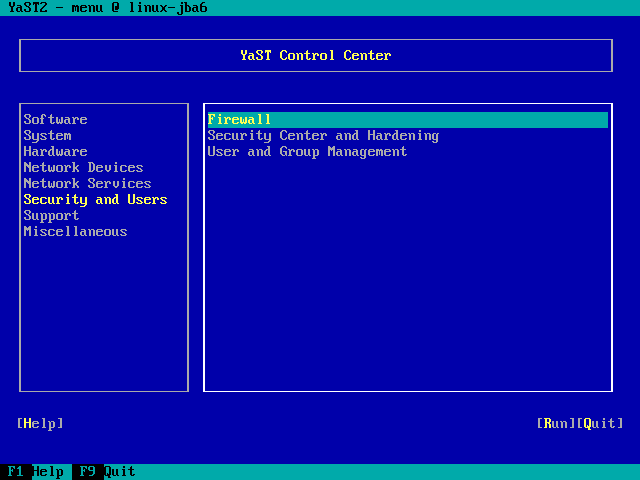 The Perfect Server - OpenSUSE 13.1 x86_64 (Apache2, MySQL, PHP, Postfix, Dovecot and ISPConfig 3) as ready to use virtual machine image download in ovf/ova format, compatible with VMWare and Virtualbox.